It's almost Christmas eve...time to wish everyone on Newsfix a happy Christmas. Re: Happy Christmas to all. Merry Christmas and a Happy new year to you Syl . Happy Xmas to all on this Forum, [where's Veya]? Happy Christmas to everyone on here. I hope the usual seasonal truce is in place again, at least until the New Year, when hostilities can recommence. 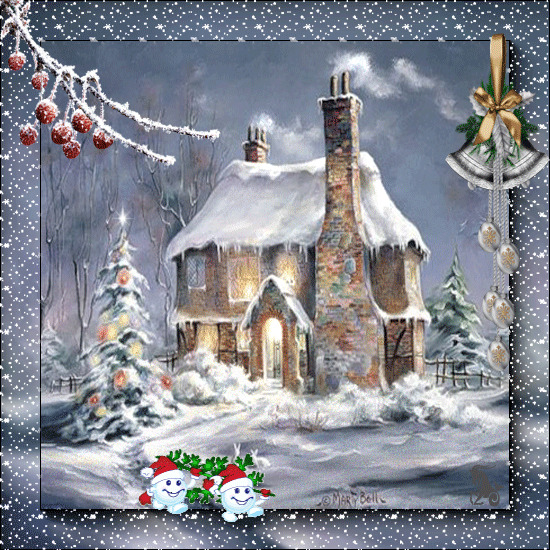 nicko wrote: Merry Christmas and a Happy new year to you Syl . And it's a Happy Christmas from me...to the tune of "While shepherds watched..."
to many wails and moans. 'cos they can't find those drones. train crews are all on strike. you'd best get on your bike. Fred Moletrousers wrote: And it's a Happy Christmas from me...to the tune of "While shepherds watched..."
Merry Christmas to all Newsfixers. May you all have a Christmas that makes you feel happy, relaxed and peaceful. I hope you're all having a lovely Christmas. I certainly am - didn't go anywhere and had a huge dinner, plus many chocolates. Hope everyone got what they wished for...including a day just pleasing yourselves and eating/drinking whatever you wanted. On the BBC news this morning apparently a 3rd of people in the UK will visit the sales today.....nutters. If you cant beat em join em, and there are still lots off good bargains around. Syl wrote: Hope everyone got what they wished for...including a day just pleasing yourselves and eating/drinking whatever you wanted. I'm actually decluttering today rather than buying things. I think one of the biggest-selling items this time of year is storage boxes! I am going to declutter too in the new year....and apart from a watch (for me) and 2 pair of summer shorts (for he) no other goods , apart from food, has been added to our house over the Christmas period. I agree with you....buying for buying sakes is a waste of time and money. I'm really tired of the merry-go-round of buying stuff and then decluttering. I'm tired of hanging onto stuff because I might need it, or because I had it ages and it has sentimental value of some kind. Same as you, I have hung onto clothes I will never wear again. A pensioner with a huge scar where she had a knee replacement is never going to wear that micro mini she so loved decades ago. Right off to sons house. For the first time in 44 years I am not doing a big family boxing day buffer....son and his gf are doing it. Anyone else glad it's all over for another year? Man next door has put up his Xmas decorations already for next Xmas ! nicko wrote: Man next door has put up his Xmas decorations already for next Xmas ! Forward planning at it's best. Christmas cards will be selling out fast for next Christmas too, talk about not living in the present....it's a crazy world. And...the TV is full of ads for summer holidays. Its the same mentality as before the kids even break up for the long summer holiday, shops are advertising uniforms for "Back to school". The kids will probably grow another inch and foot size from July to September. Summer holiday ads in winter I can understand...after all, they usually take quite a bit of forward planning, what with family commitments, the need to book the dog in kennels, getting on the company leave calendar and so forth. But buying a bloody hot cross bun is hardly an exercise in advanced logistics, is it? We tend to book any holiday a few weeks, even days before we go, now people book online it's a lot easier and a lot quicker. If you still use travel agents,(and sometimes I do if they can match the online price) it's they that are usually flogging their August holidays in December. .17HR are the "in thing" ! nicko wrote: .17HR are the "in thing" ! Noisy feckers,even with a moderator. I know that hot cross buns in Tesco even before New Year's Eve are pretty offensive, but I think that shooting the damn things with a .22LR really is taking things too far! Hope you all have been having a lovely Christmas... And all the best for the new year! Tommy Monk wrote: Hope you all have been having a lovely Christmas... And all the best for the new year! And the same to you Tommy. Our Christmas was going great but yesterday we had a call from the care home where OH's mum lives, she had a chest infection, she had been prescribed anti biotics but was OK.
Last night she had a turn for the worst, we sat with her for hours and she settled. Got there this morning, and at 3.30pm she passed away peacefully in her sleep without waking up from last night. She was 104, died warm and without pain in a cosy bed. It's so sad when a loved one dies, but as the care home said, this is classed as a 'good' death, and in the circumstances I think it was. God bless, Syl. We'll pray for her soul. Sorry to hear that Syl... but at that age and the way you describe the passing, I'm sure you're right! Was much the same for my Nans passing, almost 3 years ago now... she was 96... And a right character... sharp as a knife and real good fun...! Always sad when relatives leave us, but the older and iller they are, the less pain there is in losing them, and it is a release from pain and no quality of life. good death is a fine description. Condolences to you and your family , Syl. Remember all the too memories. by the sound of it, and you were with her which is a comfort but it's still a sad time all around, my condolences to you and your OH. Not at all Tommy, dad too had a "good death" at peace and surrounded by friends and family, at home in his own place. Syl.....my condolences to you and your OH and family, and for what its worth I send the blessings of this crusrty old druid to all. Thaks to all for your kind thoughts, I have passed them on to my OH, they are much appreciated. LF, I thought of you and your recent sadness today, I'm so glad your dad passed in peace surrounded by loved ones.